Denver Zoo volunteers are a dedicated group of individuals, from all walks of life, united by their advocacy for the zoo and their passion for animals and conservation. Would you like to help guests have fun, memorable experiences? This is the team for you! Are you interested in helping with the dirty side of a keeper’s job? This is the team for you! Are you interested in working with staff to maintain our beautiful grounds? This is the team for you! Commit to volunteering at Denver Zoo for a minimum of one year, with a minimum of 50 hours of service a year. Able to attend two days of orientation (Zoo U). Committed to providing our guests with the highest standard of guest service. Passionate about educating people of all ages and background about animals, nature and conservation. Available to attend three general meetings annually- typically occur on the first Tuesday and Saturday of the month. 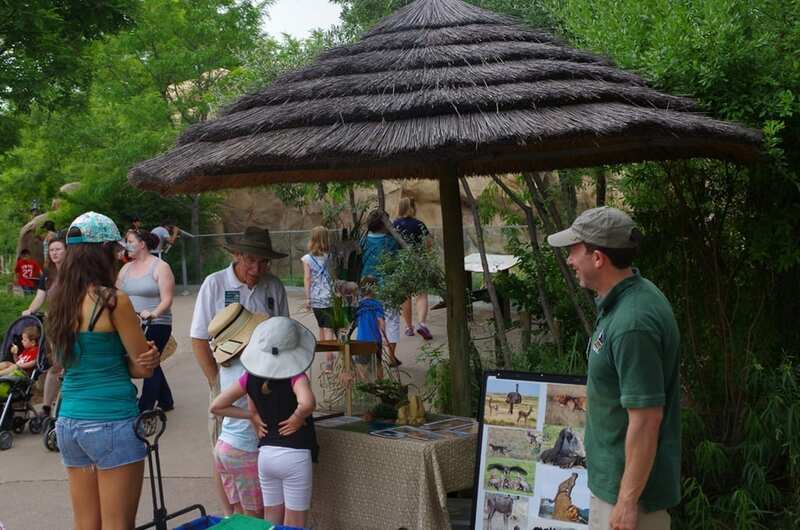 Volunteers play a vital role in supporting Denver Zoo’s mission by enhancing the guests’ experience by connecting them with animals and their environment through their passion, commitment, dedication and knowledge. If you are accepted into the program, you will receive an acceptance letter requesting you to accept your volunteer position. All adult volunteers are required to complete and pass a criminal background check. There is a $45 training fee that is required of all volunteers. Scholarship support is available on request. 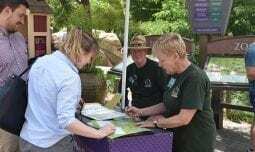 All adult volunteers must attend a two-day orientation called Zoo U. 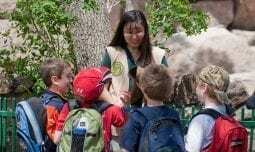 This orientation will give you an introduction to Denver Zoo, its mission, Adult Volunteer Program staff, and the skills necessary to provide the highest standard of guest experience. *Note: Additional job-specific training is required depending on your interests before you can start volunteering. **You must be able to attend both days of orientation to begin volunteering.